We have been involved in several billion dollar lawsuits. Those numbers are still a rarity. So last months lawsuit by the bankruptcy trustee of Palm Beach Finance Partners seeking $24 billion against BMO Harris caught our attention. The case offers great insights into how banks often turn a blind eye towards criminal activity appearing right under their noses. Why? We think it is because the banks enjoy the benefits associated with having billions parked in their bank. According to the complaint, the lawsuit “arises out of a massive fraud scheme orchestrated by Thomas J. Petters (“Petters”), who bilked his victims out of billions of dollars. Petters and his other principal co- conspirators devised a plan centered on the fictional purchase and sale of consumer electronics to big-box retailers like Costco, Best Buy and Wal-Mart. Petters and his cohorts induced lenders to advance funds purportedly to purchase merchandise that would then be resold to retailers at a profit. However, in reality, Petters diverted the lenders’ funds for other purposes, such as making payments to earlier lenders, paying off those who assisted in the fraud, and financing Petters’ extravagant lifestyle – a classic Ponzi scheme. Those are very strong allegations but claims we hear with increasing frequency. To better understand this story, some background is necessary. Before being accused of running a Ponzi scheme, Petters was an internationally known businessman connected to legitimate businesses such as Sun Country Airlines, Fingerhut and Polaroid. Petters and Bernie Madoff share that common thread as Madoff once ran NASDAQ. Unlike Madoff, however, the bankruptcy trustee claims Petters ran his evil empire through just one bank account! Our story begins in 1999 when Petters company opened a bank account at a small branch of a predecessor of M&I bank in Edina, Minnesota. 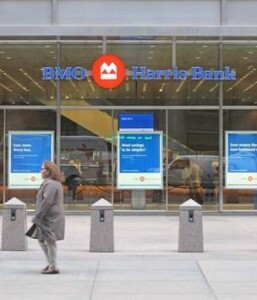 M&I would later be acquired by BMO Harris. The trustee claims that over the next nine years more than $37 billion in Ponzi scheme money was deposited into that account. Most of that money was later swept out of the same account, often on the same day. The trustee claims that the bank was aware of the “frenzied” activity within the account but that alone probably isn’t enough to cause the bank to investigate. The trustee has more evidence, however. He claims a Senior Vice President of the bank, Christopher Flynn, regularly met with Petters company. During those meetings, the trustee claims that Flynn was told that Petters made his money by selling overstocked electronic merchandise from manufacturers like Sony to big retailers like Wal-Mart and Best Buy. One of Petters associates allegedly asked Flynn for a loan and provided fictitious documents and purchase orders. Those facts might prove to be fatal for the bank. The trustee claims the bank knew how Petters was making his money and knew that big retailers were supposedly buying the merchandise. Yet with billions of dollars flowing through the account, the trustee said none of the deposits or wires came from the likes of Wal-Mart, Target or other big retailers. If this isn’t enough, the trustee claims that M&I participated in a “charade” meeting designed to placate one of Petter’s creditors and that the bank knew the meeting was a charade. Beginning in 2005, the bank installed an automated anti-money laundering system designed to alert bankers to suspicious transactions. Banks have a legal duty to file Suspicious Activity Reports (SAR) with FinCEN, a law enforcement organization within the Treasury Department. The trustee claims the anti-money launderings system performed as it should yet the bank ignored the warnings and never filed any SARs. These facts become critical because in investigating the large deposits and withdrawals, the bank had to know that no monies were coming from retailers and therefore they should have known that Petters was deceiving both the bank and his creditors. Banks clearly owe a duty to their depositors and have an obligation to follow banking regulations. Are they liable to third parties such as Palm Beach Investment Partners, a creditor of Petters? That is the question which will get an answered in this lawsuit. With almost every new Ponzi scheme comes evidence that a bank turned a blind eye to clearly fraudulent activity. Recently several large banks have been charged by the government for letting their accounts be used to launder money for terrorist organizations,drug cartels or Ponzi schemes. Obviously banks don’t do so deliberately. Victims of Ponzi schemes are starting to be successful in their claims against banks, however. Recently Morgan Stanley was fined $280,000 for ignoring “red flags” in connection with a Ponzi scheme orchestrated by Benjamin Wilson and SureInvestment. Regulators said the bank failed to heed warning signs such as documents revealing SureInvestment’s claims of 3000% investment returns. Whether victims of Wilson’s Ponzi scheme have standing to sue Morgan Stanley remains an open issue. The instant case against BMO Harris is very new. The stakes are huge, however. It’s a case we will follow. The law firm of Mahany & Ertl is a boutique law firm that concentrates in fraud litigation. We have successfully brought several lender liability actions against banks. If you feel you were the victim of bad lending practices or that a bank has covered up criminal activity, give us a call. All inquiries are kept in strict confidence. For more information, contact attorney Brian Mahany at (414) 704-6731.